Not only a refreshing treat but a potential mouthwash containing anti inflammatory and bacterial compounds. It's anti-inflammatory compounds also helps control periodontal (gum) disease. A study on green and black tea has found that the effect of tea on the exterior enamel tooth was similar to that of water. It had no erosive effect as seen in other beverages (excluding water) and shows promise in preventing tooth decay. But that's not all! As you probably know, tea has been found to contain antioxidants called catechins. Catechins are the key to all the amazing benefits of tea. It is a disease fighting flavonoid and antioxidant that helps burn fat, acts as a relaxant and kills microbes. That's a lot to take in for something so simple as tea. One of the few other drinks in existence that re-mineralizes the tooth rather then depleting and decaying it. The tooth is composed of phosphorus and calcium. Milk is a strong source of both minerals which allows the tooth to replenish its storage. You can consider it a creamy treat both for you and your teeth. As the saying goes: an apple a day keeps the doctor away. Fun fact, it can also keep the dentist away! Eating apples can actually clean your teeth. 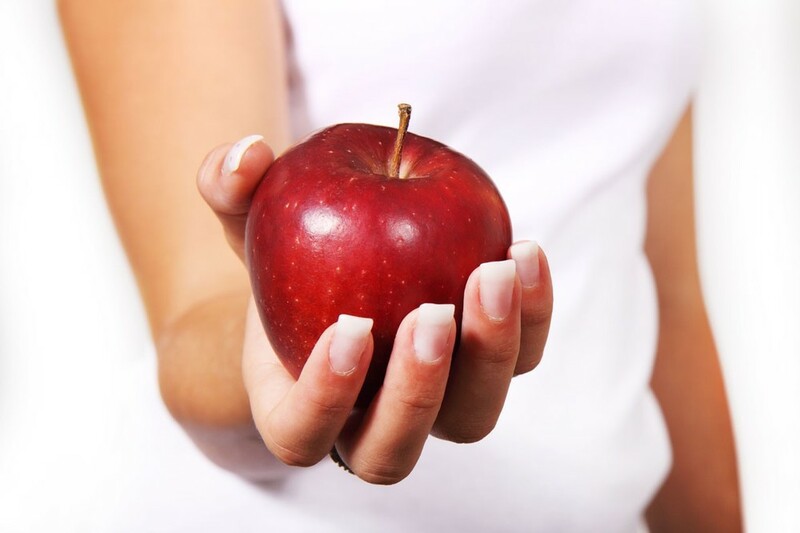 The mechanical process of chewing an apple acts as mini toothbrush that scrubs away plaque and stains. In a sense, you are brushing your teeth without actually brushing your teeth - not that you should use this as a replacement. This applies to all crunchy fruits and vegetables. Do not remove the skin however, as the fiber in the skin is essential for the process. In a similar to apples - assuming you've just read about apples - sesame seeds are slightly abrasive foods that mechanically cleans the teeth by rubbing of plaque and stains off the surface. 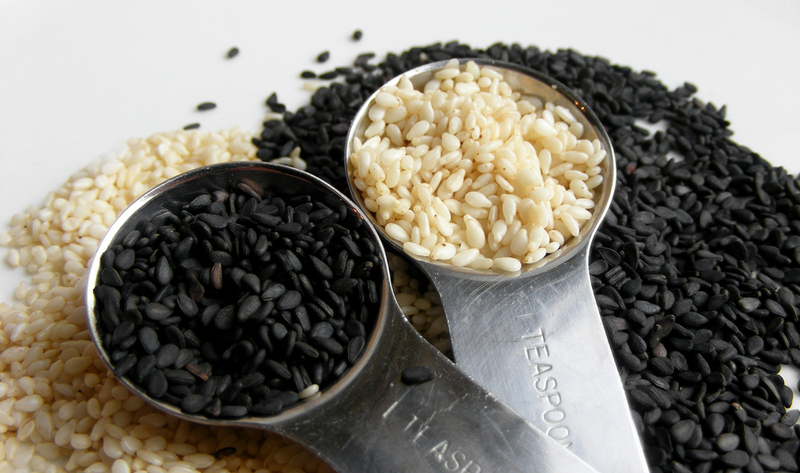 Sesame seeds, in addition, contain bone and teeth-strengthening calcium which helps remineralize the tooth similar to milk. 5. Water - Are you even supprised? You can't go wrong with this. The best thing is that it's 100% natural and very affordable - trust us. The act of drinking water helps wash and cleanse away all the food debris that may be residing in the mouth. But the important aspect is that by remaining hydrated you maintain high levels of saliva - which in return leads to the best natural defense against saliva anything can provide you. Regardless of issue, you can guarantee that water will always be a safe choice for health. Although eating these spices make you socially repulsive, onions and garlic have known curative properties. When eaten raw, they contain antibacterial sulfur compounds such as thiosulfinates. You may consider this spice to be a double edged sword. 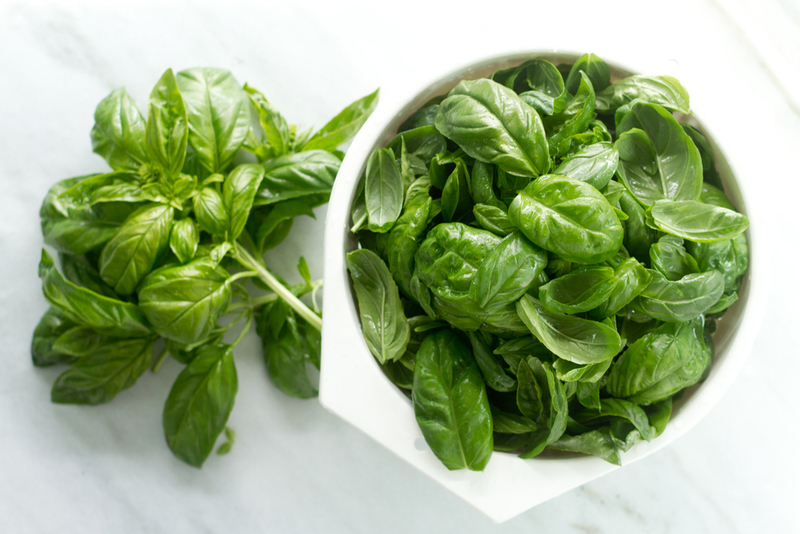 Basil is a natural antibiotic that reduces bacteria in the mouth. Its essential oils, rosmarinic acid, linalool and oleanolic acid inhibits the growth of bacteria. 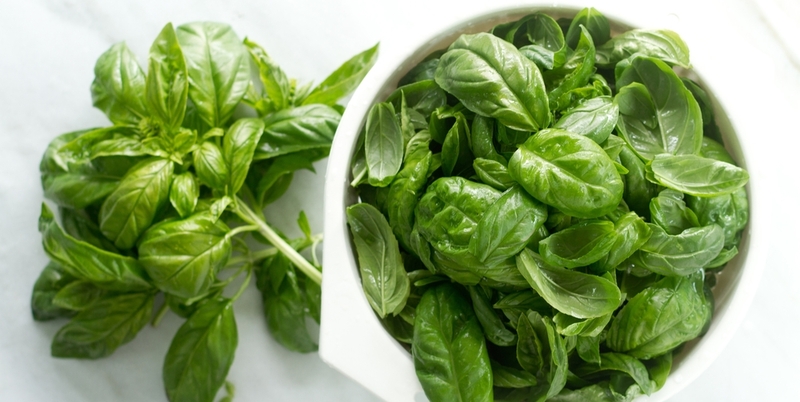 So eat away and treat yourself to a bit of Italian pesto. We guarantee it's one of the finer sauces in life. Not only rich in calcium but also in vitamin D, another nutrient needed for healthy teeth and bones. Vitamin is crucial for oral health because it allows your body to absorb and use calcium. Without it you are unable to rake the full benefits from other foods you are eating. 5. Water - Are you even surprised?